Benjamins are bringing to market this two bedroom semi-detached property in the sought after South Nottingham village of Keyworth on Nottingham Road. 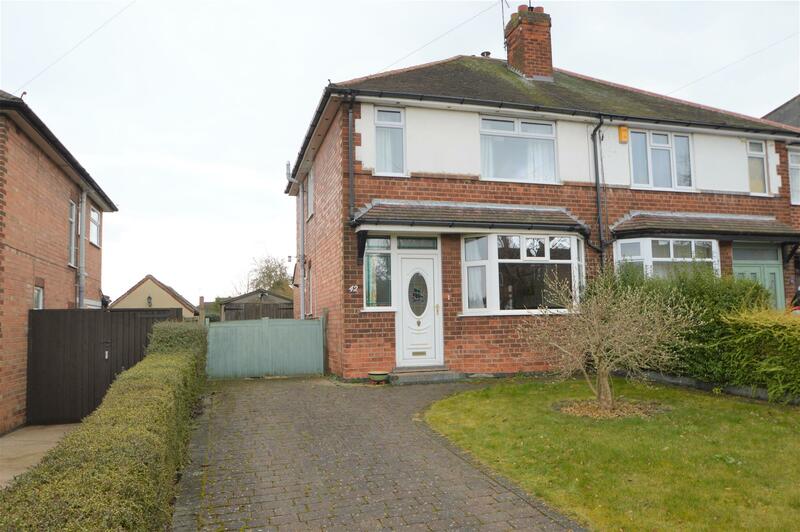 The property benefits from having no onward chain, driveway for several vehicles, garage and large rear garden. 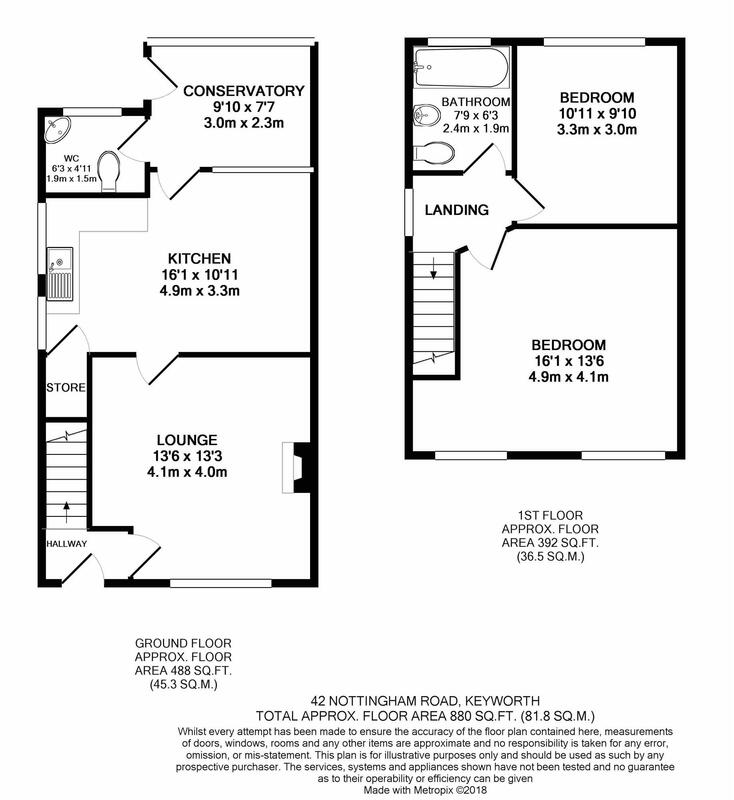 It briefly comprises; Entrance hallway, Living Room, Kitchen Diner, Conservatory with Downstairs WC, Two Double Bedrooms, Family Bathroom, Large Rear Garden, Driveway & Garage. The property requires some modernisation and would suit a small family, first time buyer or investor. Viewing is recommended. To arrange please call Benjamins Sales 0115 9371713. UPVC front door into the hallway, stairs leading up to the first floor, carpet, radiator, door into living room. UPVC double glazed bay window to the front aspect, radiator, carpet, ceiling fan light, door into kitchen diner. Base and wall units, stainless steel sink with drainer & mixer tap, space for gas cooker, two windows to the side aspect, large storage cupboard with gas & electric meters, radiator, ceiling light fitting and strip lighting, separate dining area with built in storage, door into conservatory. Overlooking the rear garden, double glazed windows and door to the rear, strip lighting and door into wc/utility. Low level wc, wash hand basin, Baxi combination boiler, plumbing for washing machine. Two UPVC double glazed windows the front aspect, ceiling light fitting, carpet, radiator. UPVC double glazed window the rear aspect, storage cupboard, ceiling light fitting, carpet, radiator. Three piece bathroom suite comprising low level wc, wash hand basin, bath with electric shower over, radiator, window to rear aspect. Front garden laid to lawn with hedge borders. Driveway and path leading to front door and side gated access to a large rear garden with hedge and fence borders, outside tap and single garage.